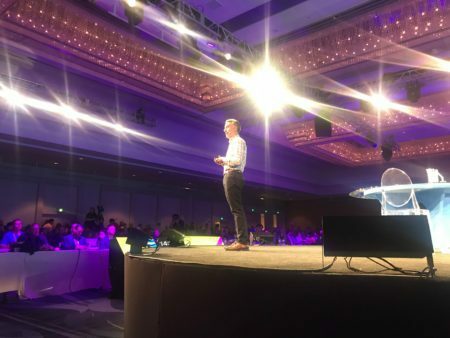 Many of America’s cities are still segregated, and the real estate industry — including Redfin — may be playing a role in that deep divide, according to Glenn Kelman, the often outspoken CEO of Seattle-based real estate brokerage Redfin. Kelman was tapped to deliver a talk on the main stage at Inman Connect in San Francisco on Wednesday morning, titled, “How We Built a Big Real Estate Company That Cares About the Customer.” Instead, he pivoted and spent his time talking about racial segregation in housing and the industry’s role in the segregation, and announced that Redfin will be holding a symposium on September 6 to examine issues of race and discrimination in real estate, and how Redfin can do a better job of serving diverse customers. Is the country still segregated, and what is the industry’s role? 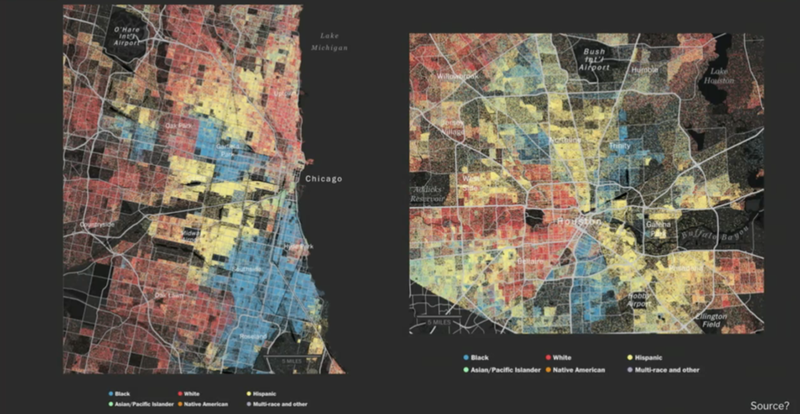 Kelman began the talk by showing the standing-room only crowd a map of Chicago broken down by race. Part of that segregation is due to income inequality. A study published on Tuesday by Zillow, found that a renter making the median household income for black Americans could afford just 16.2 percent of the available rents on Zillow without putting more than 30 percent of their pre-tax income toward housing. A renter making the median income for Hispanic households could afford 27.3 percent of rentals while renters making the median household income for a white individual could afford 49.7 percent of listed rentals. Kelman explained that most of the industry would like to see integrated neighborhoods but each of the homes in these segregated cities were sold by real estate brokers in the room and around the country that were trying to perform their fiduciary duty, regardless of the race of their client. 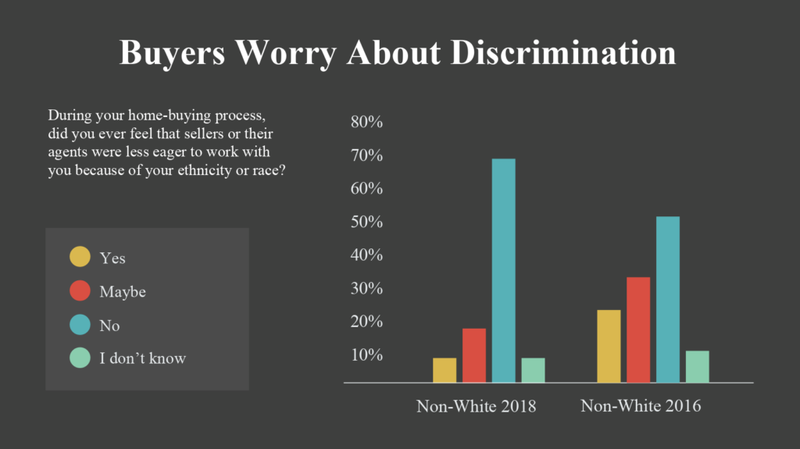 Redfin surveyed about 2,000 homebuyers in 2016 and found that people of color, about half of them were worried that their offers weren’t treated fairly. It ran the same survey a few weeks ago and found that number dropped to about 35 percent. “It’s reassuring that they’re not as worried about it as they were a few years ago, but still a tragedy that one in three people of color who are shopping for a home, aren’t really sure that they’re getting a fair deal,” Kelman said. Kelman relayed information about a study by University of New Mexico assistant professor Elizabeth Korver-Glenn that followed nine real estate agents in Houston: two were black, three were Latino and four were white. She talked to 125 customers and went to open houses. Most of that research showed that real estate agents provide powerful advantages to their customers, according to Kelman. It’s something that Redfin tries to do with its own business — give its customers a competitive advantage in trying to buy and sell houses. “She noticed that there’s a certain type of customer who gets better service and this is just the reality of not just real estate but of capitalism,” Kelman said. In true Kelman fashion, he acknowledged his “crunchy” personality in the talk, recalling when he first read the results of the study in an Alaskan yurt, while simultaneously worrying about being eaten by a bear. One quote really — from a real estate agent talking about an African-American aspiring homebuyer — made him think hard about Redfin’s role in addressing that inequality. Kelman said, while sitting in the yurt, he realized, that agent could have worked at Redfin. What is Redfin doing about it? 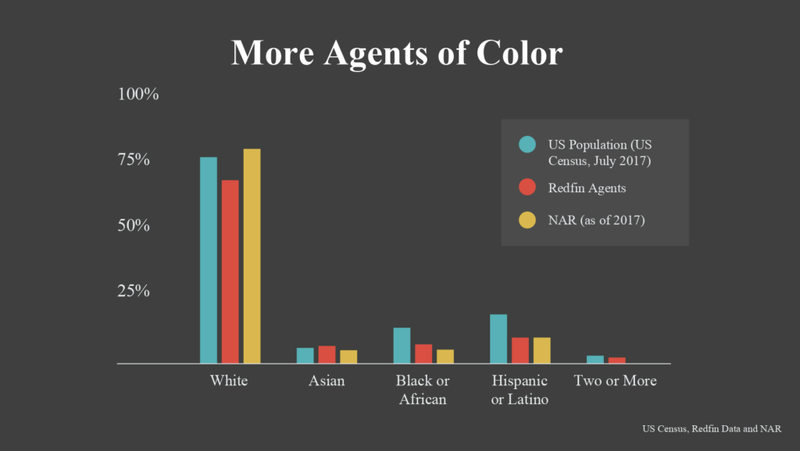 Going forward, Redfin is taking steps to address the systemic inequality in homebuying, first by hiring more agents of color. Kelman also said, having agent reviews and statistics like homes sold on the website — whether it’s Redfin or a third-party site like Zillow — will also help. He used the example of Kenny Whiteside, a black agent and one of Redfin’s top performing agents. “I’m not sure as many white people would want to hire him if they could not see how good he was,” Kelman said. Redfin also had a minimum price threshold of $200,000, which means that many neighborhoods are underserved by its agents. Kelman said in some areas, the company is going to try to get that minimum threshold down to $150,000 to serve more customers with the goal of eventually taking that nationwide.